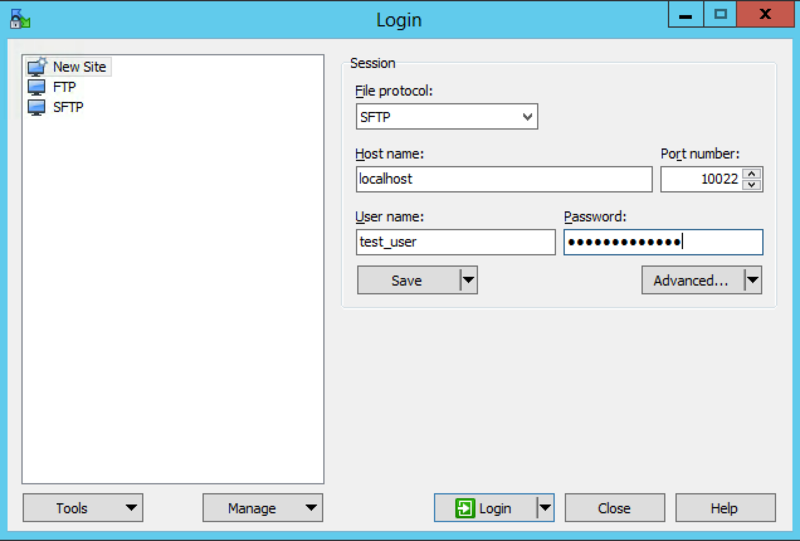 SFTPPlus MFT Server is compatible with any client software, including WinSCP®. In this quick guide, we will provide a very brief overview showing how you can use WinSCP with SFTPPlus MFT Server for Windows to perform basic actions. New to SFTPPlus? Please contact our Pro:Atria Sales team to obtain an evaluation copy of SFTPPlus Server. If you have a copy and this is your first time using SFTPPlus, we recommend following the Windows installation guide followed by our quick steps guide. Make sure that you have the following details correct. These details can be configured and/or checked using the SFTPPlus Local Manager. If you are new to SFTPPlus, you can follow the quick steps guide or see our documentation for more details. You have WinSCP and SFTPPlus installed and running. The account username and password are correct. The account home folder either exists or a new home folder is created if it does not exist. A file transfer service using the targeted protocol (such as SCP, SFTP or FTPS Implicit) is running. 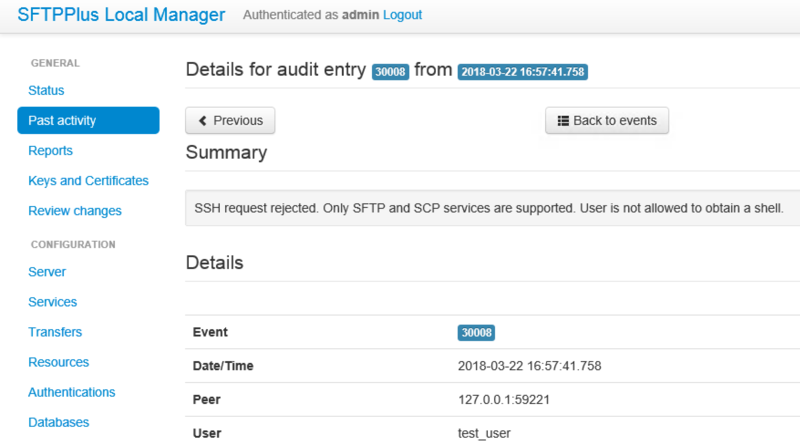 And after connection, you will be presented with the SFTP server fingerprint. 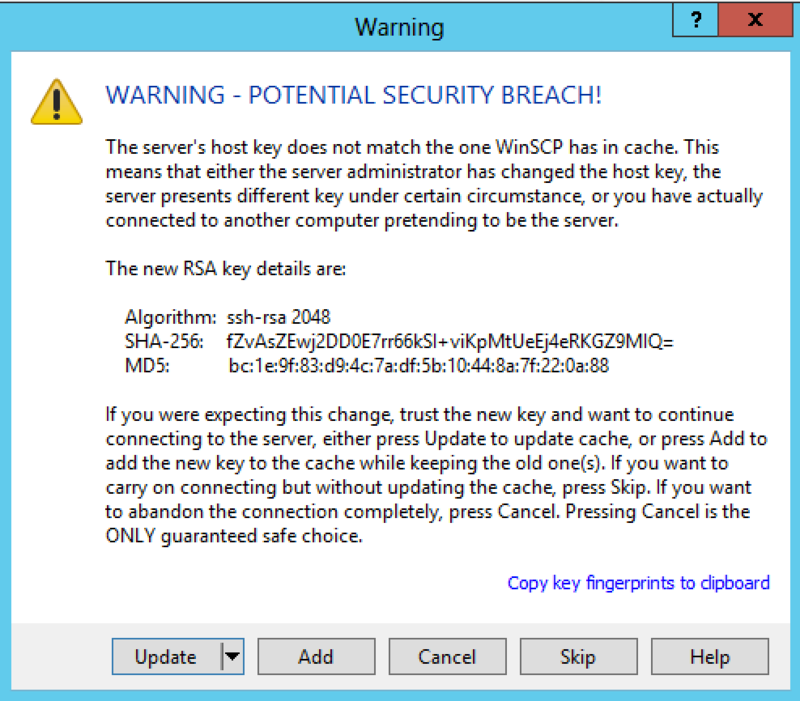 Since this testing is conducted on a new server key, a warning is presented. Please check the server key prior to accepting. To use your own SSH keys, please configure the SFTP service accordingly. After logging in, you will now see the directory and start conducting file transfer operations on the SFTP server. After logging in for the first time, Filezilla will present details about the server certificate. 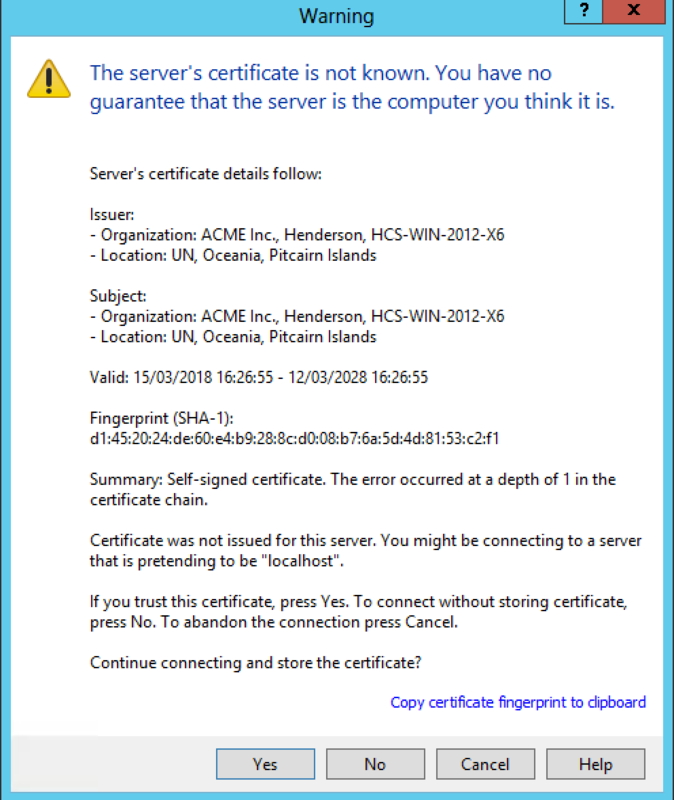 The certificate being used in the default SFTPlus installation is a self-signed. To use your own certificate, please configure the FTPS service accordingly. For production, we highly recommend using your own certificate. After logging in, you will now see the directory and start conducting file transfer operations on the FTPS server. With the SCP service, you can only do file upload and download due to the SCP protocol being limited. What you get from the Unix cp command, you get from SCP where scp does not support folder listing, folder creation, folder removal, or file removal. WinSCP cannot be used together with SFTPPlus server to do SCP based transfers. This is because the SCP server implementation on SFTPPlus Server only allows the standard scp command. Since the scp commands does not support folder listing, WinSCP uses a non-SCP command to list the directory and this non-standard command is denied by SFTPPlus server as it it outside of the SCP scope. From SFTPPlus Local Manager, you will see this message, which is expected. 2018-03-22 17:56:42.982 Using username “test_user”. For more robust file transfer support involving SSH, we recommend using the SFTP protocol which is also delivered over SSH version 2. SFTP supports a rich set of file transport operations, not only upload and download, like in the case of SCP. Please contact the Pro:Atria Support team if you have questions about using your own client with SFTPPlus or if you also wish to trial our own SFTPPlus Client software. 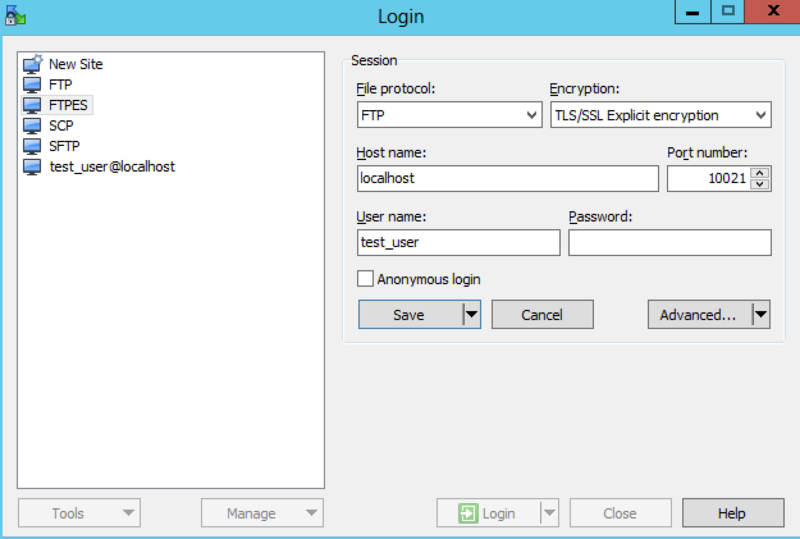 This guide is based on SFTPPlus 3.30.0 and WinSCP 5.13. Note that WinSCP is a registered trademark of its respective owners.